Far too often our diets are based on what someone else may think or eat. For example, poor eating habits are often handed down through a family like old clothes. When I was a kid, my mother used to say to us: “Always fry your bacon first, that way you can use the grease to fry your eggs”. This was something that her mother told her. At that time we consumed fried food quite often and I can still remember the old grease can that my mother kept on the back of the stove. The grease can was an old can (usually an old coffee can) that was used to “recycle” lard, vegetable oil, and whatever else may have found its way in there. This was the actual oil left over from whatever she happened to fry for d gain she would throw the can out and start over again when the oil got “too old” (usually when the eggs began to taste like fish). One day my grandmother found a mouse in the grease can and that marked the end of the grease can era. I know that this may sound pretty disgusting but hey, how many people can credit a single mouse for sparing them a life of high cholesterol and heart disease. My family and I owe that mouse a debt of gratitude. Many of our eating habits are not actually ours. They may have been handed down through the family or borrowed from friends or colleagues. Many individuals whom work together find themselves saying, “I’ll have what she’s having”. There are even individuals whom are uncomfortable being different. Of course as children we have little choice or say in the matter, but as adults we can choose. Take a look at the foods that you choose to eat. Do you eat certain foods out of habit, or is this something your parents taught you to eat? Is this something that your friends eat? Do you truly enjoy the foods you eat or have you grown to like them? Do you eat certain foods because they are quick or easy to prepare? Remember that true freedom of choice is based upon what you desire. The above reasons are based upon circumstances and outside influences. 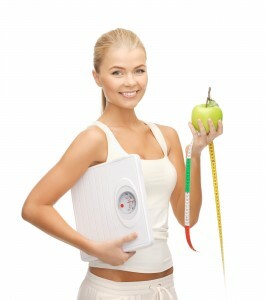 If weight loss is what we desire, then we should base our choices upon it. Otherwise, we aren’t really doing what it is that we truly want to do. We control our future in the present.